The good folks at Summer Game Books designed a wonderful cover for Boots Poffenberger: Hurler, Hero, Hell-Raiser, which appears at left. Designing a cover is an interesting process. I had a pretty clear idea of what I thought it should look like. I selected a few photos that I thought would be appropriate. Three seemed the right number to me. Summer Game Books sent me six different covers and this was my instant favorite. I loved the sepia tone which gives it that by-gone days look and I thought that each of these photos really highlighted Boots’ mischievous and playful personality. None of these photos, by the way, were the three that I had in mind, but add them together and they begin to tell Boots’ story before the book is even opened. That, of course, is what a cover should do! 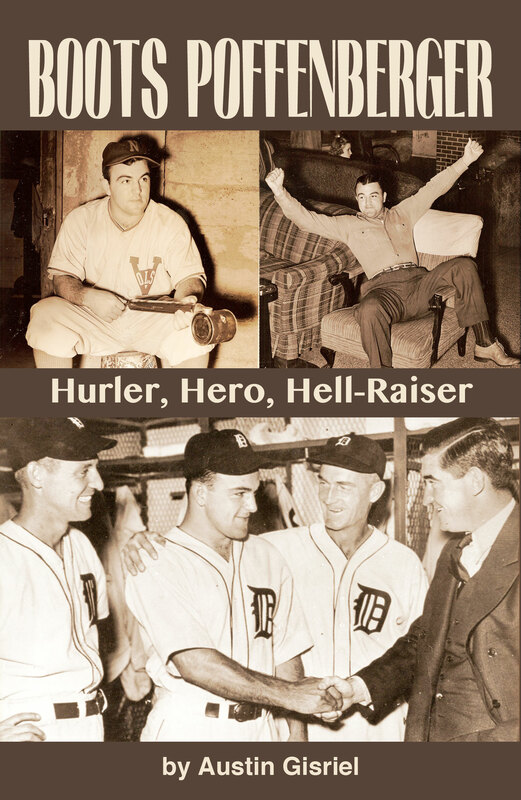 I still have the stat page and the index to review, at which point Boots Poffenberger: Hurler, Hero, Hell-Raiser will be ready to roll off the presses. It will be available as both a softcover book and an e-book sometime in July. When I know, you’ll know! This entry was posted in Boots' biography, Writing. Bookmark the permalink. July is perfect. Coming north in a early August and I want my copy signed. The cover looks great, Austin. I would say that I can’t wait to read Hurler, Hero, Hell Raiser, but, I already have and (spoiler alert), it is truly a great read. You’re very kind, David. I’m glad you enjoyed it and I appreciate your writing a blurb. What great news! Can’t wait to read it. You knocked “Season In The Valley” out of the park, really looking forward to this one!